Tropical storm Otto has become a Category 1 hurricane in the southwestern Caribbean, according to a report from the U.S. National Hurricane Center (NHC) issued at 2:46 p.m. Costa Rica time. At 3 p.m. Hurricane Otto was located some 240 miles east of the Caribbean province of Limón, with sustained winds of up to 75 miles per hour. The National Meteorological Institute (IMN) expects Otto to make landfall in Costa Rica and Nicaragua early on Thursday. It would be the first hurricane to make landfall here since at least 1851, the IMN reported. The hurricane is the seventh of the 2016 Atlantic season and the latest hurricane formation on record in the Caribbean sea, the NHC reported. President Luis Guillermo Solís earlier on Tuesday ordered the mandatory evacuation of some 4,000 residents of Northern and Caribbean communities following forecasts of Otto’s imminent update from tropical storm to hurricane. Solís issued a Red — Emergency — Alert prompted by the high possibilities that Otto hits mainland Costa Rica between Wednesday and Thursday. 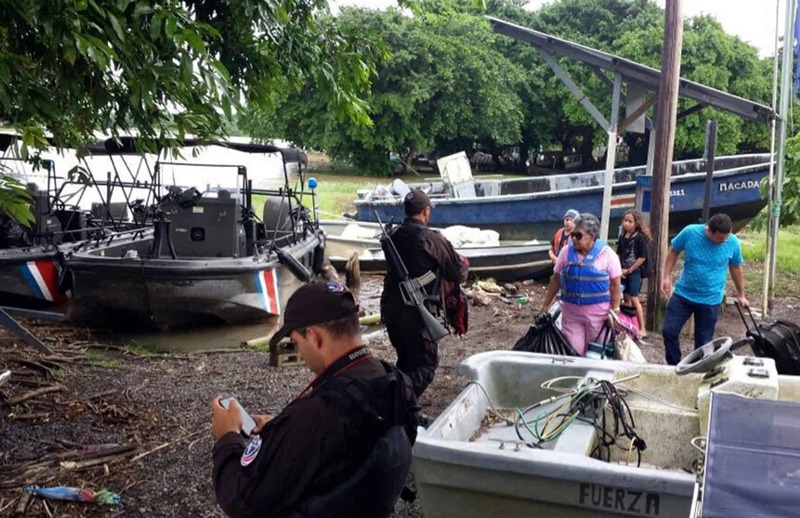 Emergency agencies since started the evacuation of residents of the Caribbean communities of Boca Pacuare, Parismina, Tortuguero, Puerto Lindo, Delta Costa Rica, Isla Calero and Las Barras. The Alajuela communities of Bajos del Toro, San Carlos, Guatuso, Los Chiles, Upala and Río Cuarto de Grecia also faced evacuations, as well as Sarapiquí in the province of Heredia. See what people are posting on social media about #Otto.